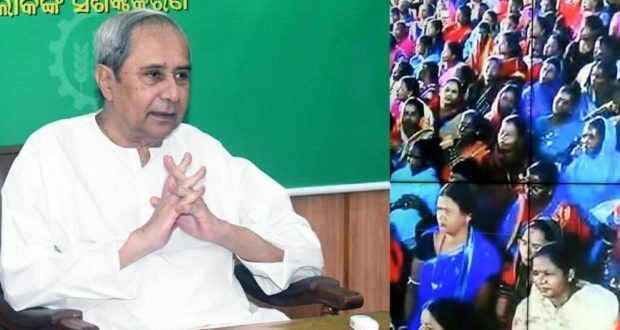 Bhubaneswar:12/9/18:During the Ama Gaon Ama Bikash session, Chief Minister Naveen Patnaik interacted with villagers from blocks of Chikiti (Ganjam), Badchana (Jajpur), Hindol (Dhenkanal), Balianta (Khordha), Krushnaprasad (Puri), Gudari (Rayagada) and Maneswar (Sambalpur). He praised the keen participation of people in the development process and encouraged them to bring up valuable issues of socio-economic growth. Speaking directly to CM Shri Patnaik, the villagers presented many proposals. Considering them, he sanctioned 1371 development projects worth ₹33.96 Cr for 153 Gram Panchayats which will bolster the development in the respective areas. The program has covered 4,373 GPs in 200 blocks and led to sanction of 309,975 projects worth ₹987.85 Cr till date.